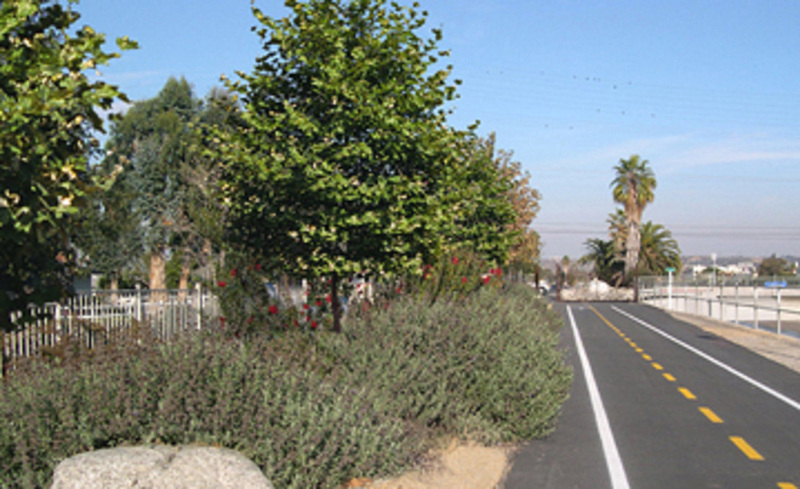 Gruen Associates designed an additional three segments of the Ballona Creek Bike Trail including linkages at Inglewood Boulevard, McConnell Avenue and Sepulveda Boulevard. 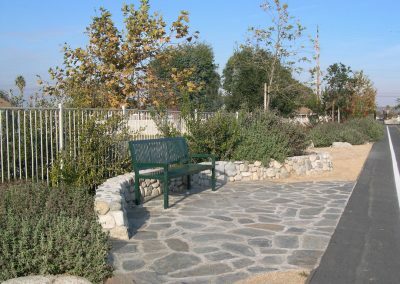 Similar to pocket parks along the Los Angeles River, the small linear parks at these entrances feature river rock seating walls, drinking fountains, bike parking, interpretive signage and plenty of native landscaping including California sycamore trees. Collaboration with a local artist was involved to create the artistic ornamental iron gates at the entrances to the $53 million Ballona Creek bike path. These depict interesting juxtapositions of contrasting materials of rough dark matte rusting steel against lighter silvery shiny stainless-steel, and contrasting river rock welded in. 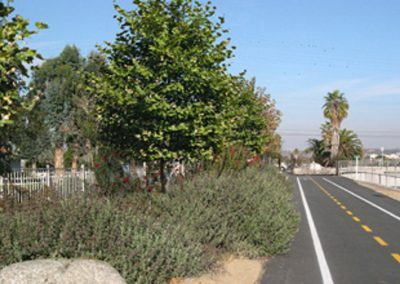 The art, landscaping and amenities combine to make these entry points more beautiful, welcoming, natural, lush and pleasant.